Lavender tea can help ease insomnia. Lavender tea can help calm nervousness and anxiety. It's also used to alleviate stress and uplift flagging spirits. Lavender tea may help treat an upset stomach, as well as flatulence and colic. It may also be used to treat stomach infections, bowel infections, helps alleviate depression and can combat serious migraine headaches. Lavender tea, when applied topically, can help alleviate colds, cough, asthma, bronchitis and similar problems in the respiratory system. Lavender tea also helps induce sweating and consequently reduce the body temperature during fever. The beneficial properties of lavender include: flavonoids, tannins, courmarines, and essential oil containing camphor, geraniol and linalool. Fresh lavender is usually availale from your local health food store like Whole Foods, Trader Joe's etc. You can remove or leave lavender in the tea. To remove lavender, simple pour tea through a small strainer. Then strain, try adding a sweetener if you don't enjoy the taste (maybe a small amount of honey), lemon, then pour over ice and just enjoy! Lavender is native to North and East Africa, the Mediterranean, Southern Europe, India and Arabia, but is also now cultivated and grown in many places. 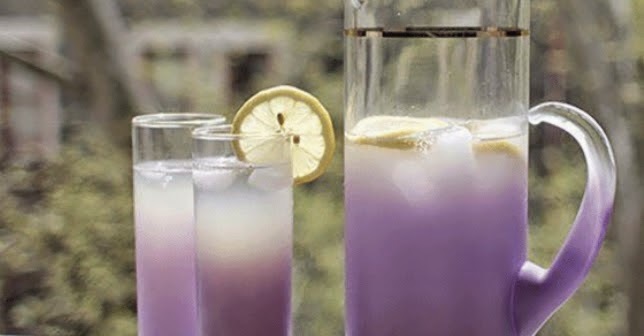 Do you drink Lavender tea? Bookmark or share this article if you enjoy this type of information and wish to see more of our posts. Facebook is limiting the reach on pages more and more each day, so only with your help can we get this type or natural information to the public. Thanks for reading and enjoy your day!